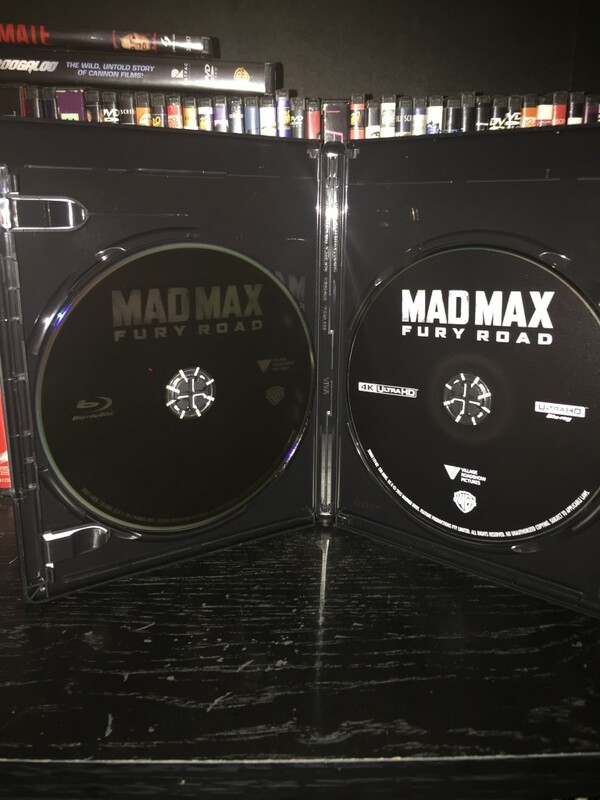 Mad Max: Fury Road - 4K UHD Review - ReDVDit! 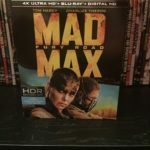 Since the introduction of the 4K UHD format, people have been wondering about the overall quality difference and whether or not it is a noticeable jump like it was when Blu-ray was first released. While the change isn’t nearly as big a jump as DVD to Blu-ray was, the differences are definitely visible. Colors appear to be more vivid, the lines and granular aspects of the scenery are much clearer and overall; things just feel more real than they did with Blu-ray. 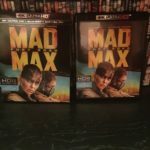 Mad Max: Fury Road is most certainly a title that takes full advantage of the 2160p resolution and is definitely worth the investment. Mad Max: Fury Road is the story of a woman who’s rebelling against her tyrannical leader in search for her homeland. Taking place in a post-apocalyptic Australia, she is accompanied by a group of prisoners, a psychotic worshipper, and a lone driver named Max. This concept makes the film sound like there is more of a strategic approach to overcome their insane ruler; however, there is a more “in your face” fast paced series of events that occur. Leading the characters through a lengthy series of unexpected events that involve more than your average amount of fire, this movie provides an “on the edge of your seat” experience. Mad Max: Fury Road is an extremely well performed, high-octane experience. I would highly recommend this film to anyone who is on the fence about it, and I would also highly recommend that it be seen in the 4K UHD Experience. 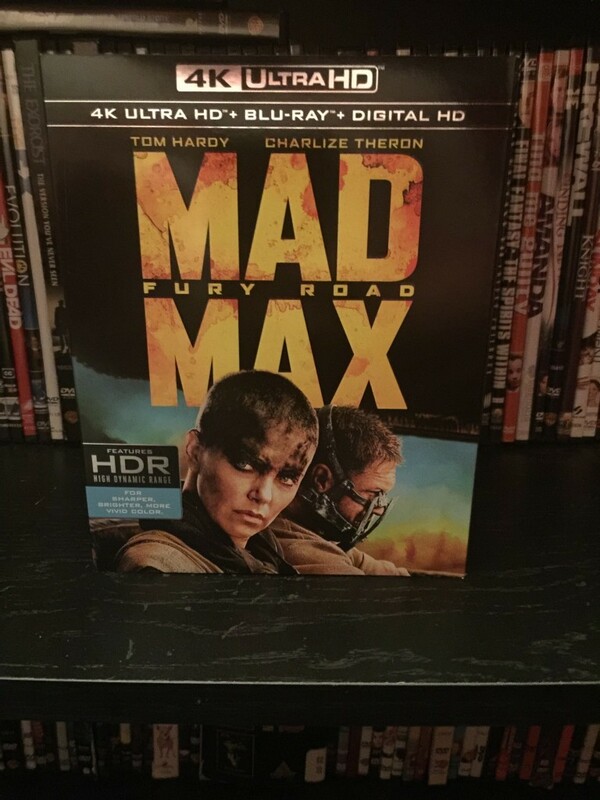 Mad Max: Fury Road is absolutely perfect in terms of video quality. With the vivid colors all throughout setting the pace and tone for the film, creating an environment full of action, it matches the overall story line perfectly. The overall colorization of the various scenes not only convey the overall experience of that point in the storyline, but also perfectly conveys the overall mood of the characters at a given point in time. Grey undertones highlight the scenes involving Immortan Joe and his crew, showing the emphasis on the negative experience the characters have had with his role in their society. 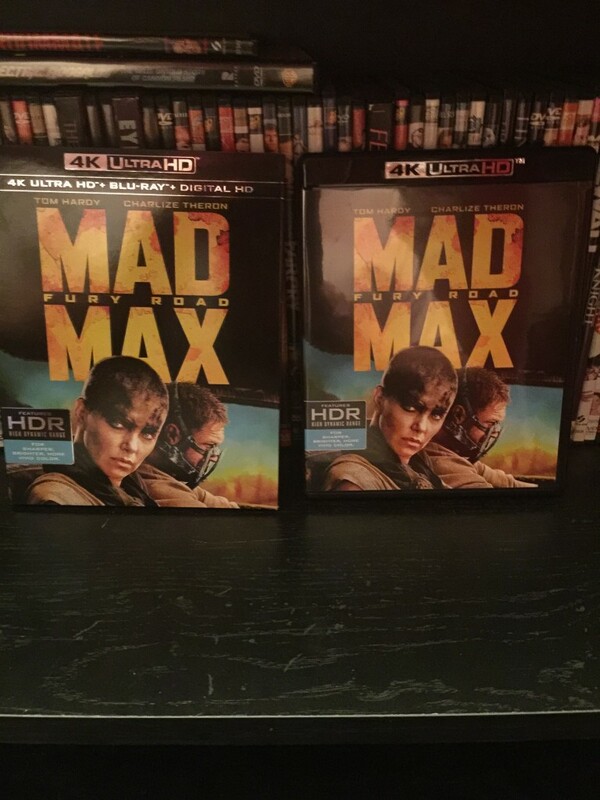 We also see washed out colors when times get tough for Max and Furiosa, and the bright and vivid color scheme that’s seen as the intensity increases; this film is definitely one of the best to have while 4K is in its infancy. Personally, while watching this, I was most taken aback at how blue and clear the skyline was. Even noticing the grains in the sand, 4K UHD/2160p is how this film was meant to be watched. Featuring the use of the Dolby Atmos Audio Technology, to get the full benefits of this you will need an Atmos setup. However when using the Atmos audio track on my personal home theater, the sounds and effects stood out much more than that of your typical 5.1 audio track. While using the Atmos track, you are more prone to audibly catch aspects of the movie that you wouldn’t on a standard Blu-ray disc. The overall audio composition of this film blends perfectly with the musical score to convey the mood and tone of any given moment during the storyline. NOTE: This package does not include the long-rumored Black & White edition that’s been discussed. It looks like this will be its own separate release down the road if it ever happens. Unfortunately, the UHD Disc does not contain any special features. 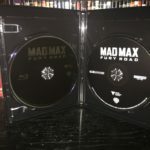 However, the Blu-ray disc contains all of the same special features of its earlier Blu-ray combo pack. I went into this film completely blind. Having not seen any promotional material for it, I didn’t know what to expect. Initial discussions that I had with friends showed the difference in our tastes in film because they were less than impressed. However, the overall package that Mad Max: Fury Road provides for home theaters is astounding. It is beautiful and edgy. The movie itself is fantastic, and if you already have a 4K Setup including a UHD player, you should definitely run out and add this to your library.